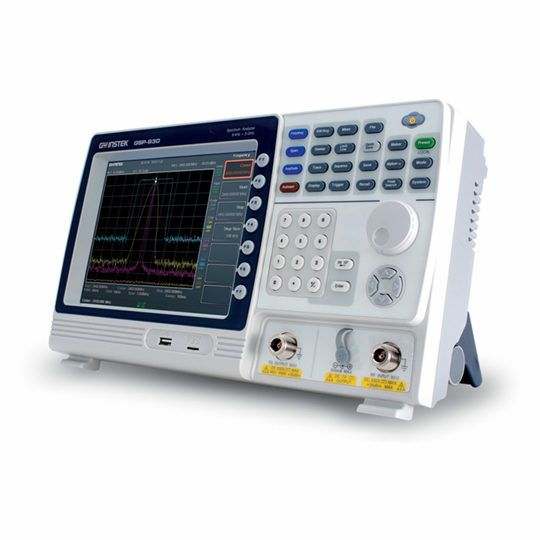 GSP-930 is a 3GHz Spectrum Analyzer designed upon a new generation platform. 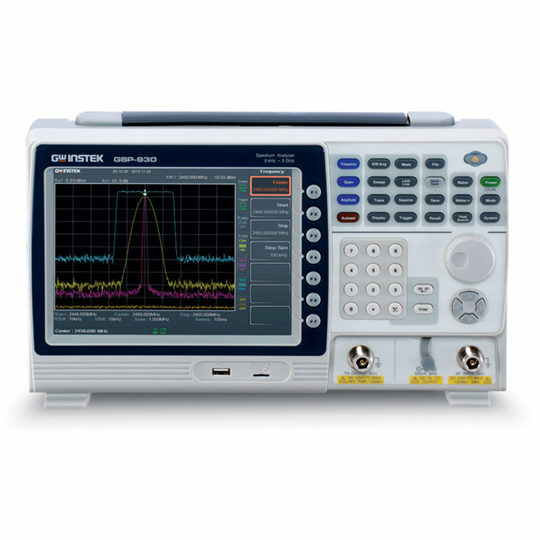 The high stability, large screen display, light weight and compact size of GSP-930 benchmark a new standard for 3GHz spectrum analyzer in the market. 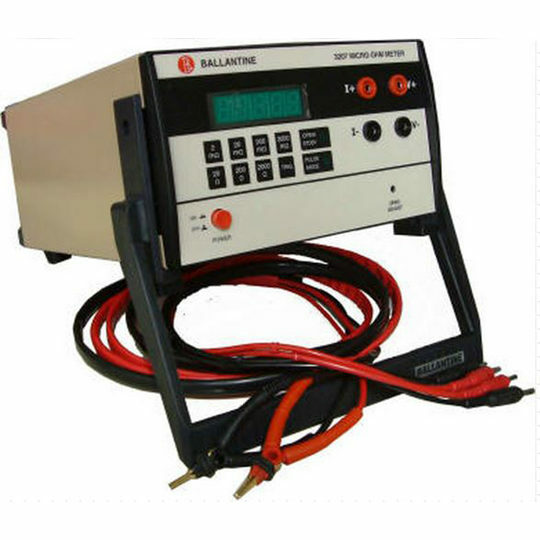 Its advanced features, Spectrogram and Topography, greatly expand the application range and elevate the importance of a spectrum analyzer in the role as the irreplaceable RF analysis instrument. 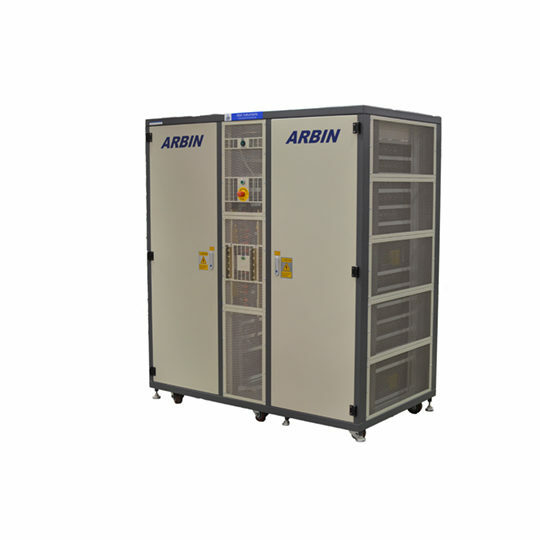 GSP-930 provides a high frequency-stability of 25ppb (0.025ppm) and a very low noise floor of -142dBm (Pre-amplifier on) as the high sensibility measurement base. 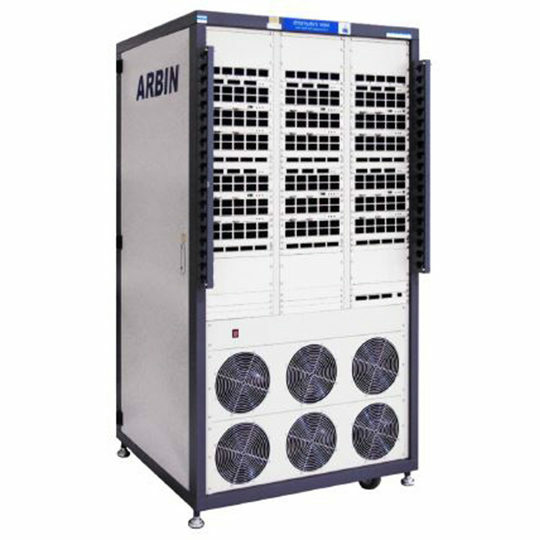 The flexible selection among 58 RBW ranges along with Spectrogram and Topographic features enable GSP-930 to capture and display transient, drifting and hopping signals in detail. The mixture of frequency domain information and time domain information facilitates the tracing of RF signal variations over time. 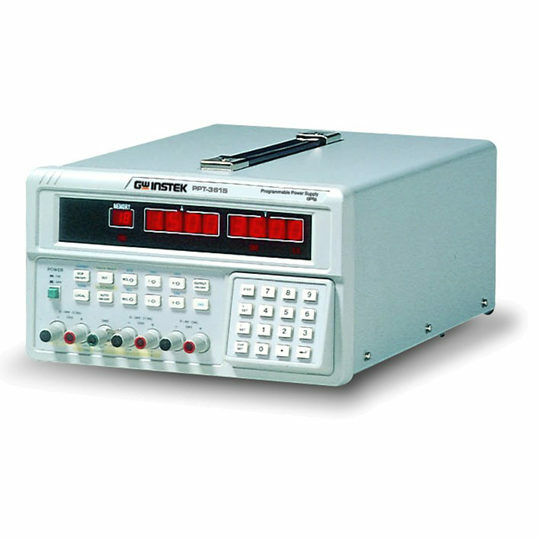 Other remarkable features like Spectrum Emission Mask (SEM), Power Measurements, AM/FM Analysis and TOI/CNR/CSO/CTB measurements, make GSP-930 a useful instrument right fit into a broad range of applications. 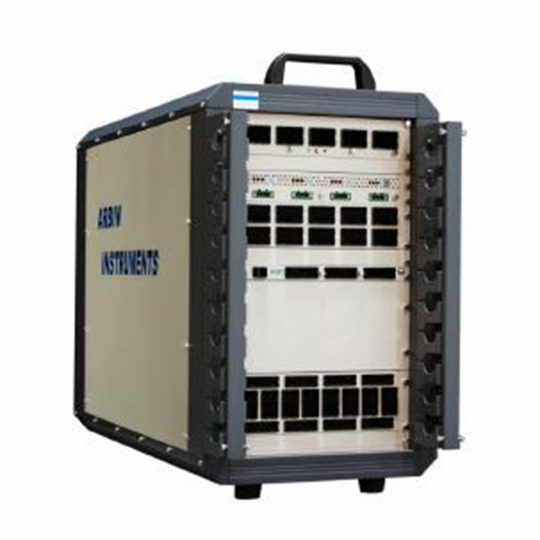 GSP-930 is equipped with various interfaces, including LXI, USB, RS-232 and GPIB (optional). The IVI driver is available for the remote control software development by means of LabVIEW or LabWindows/CVI. A Micro SD slot and a USB Host interface enable the memory size expansion for mass data storage. An IF output (886MHz) is provided as the intermediate frequency signal of RF inputfor users to develop their own applications. 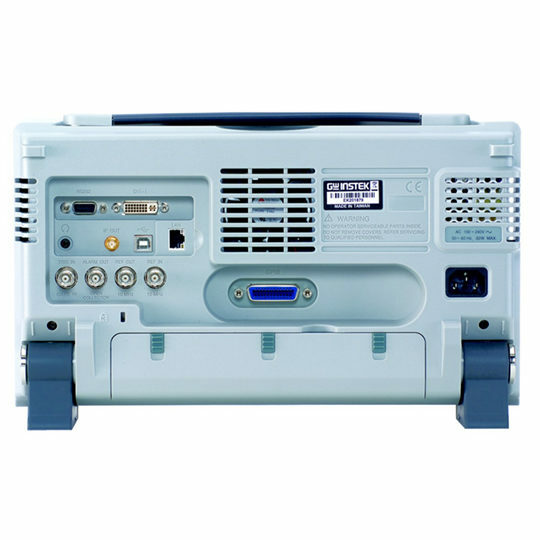 Carrying abundant communication interfaces, user-friendly operation, large screen display, light weight, compact size, and battery power operation(1), GSP-930 is developed upon a high-tech platform to provide ultimate customer benefits.